Visitation will begin at 9:30 AM at the Church. Lunch will be served following Mass in the Church hall. Steve Rozewicz was an outgoing, fun-loving and all-around great guy. He had an amazing sense of humor and his dry wit was one of a kind. Steve lived with integrity, he was caring and compassionate towards others and his loyalty knew no bounds. Above all, Steve was a devoted Catholic and dedicated family man and he lived a rich and fulfilling life surrounded by those he loved and cared for. Steve’s story began on September 20, 1948, when he was born in the bustling city of Detroit, Michigan. Raised an only child, he was the son of William and Christine (Sudek) Rozewicz in a traditional Polish home in Dearborn. His father worked for the railroad, while his mother worked at Ford Motor Company in the executive dining room; sometimes even cooking for the Ford family. 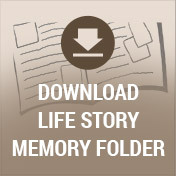 Steve experienced a childhood typical of the times and began his elementary education at St. Barbara’s Catholic School. However, from his fourth through eighth grade years he attended military school at the Hall of Divine Child in nearby Monroe, Michigan. He enjoyed his schooling and even played drums in the marching band. 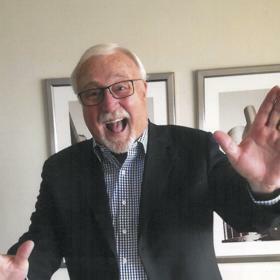 Steve returned home to Dearborn his ninth grade year, where he attended Fordson High school, graduating in the Class of 1966. To Steve, one of the sweetest things during his senior year of high school was his sleek, 1965 Oldsmobile 4-4-2. Black with redline tires, one would be hard pressed to find a nicer looking muscle car. He took pristine care of it and it caught the attention of many. That ’65 Olds was only the beginning of Steve’s passion for cars and the “Motor City” as he remained a car guy his entire life. It was also something he later came to share with his sons. Steve absolutely loved Dearborn and Detroit and loved telling stories from the good old days. Perhaps the most exciting part of in Steve’s life was meeting a pretty little Italian girl, Linda Pinto. The two began dating in high school and would often double date with Linda’s older sister Josephine. 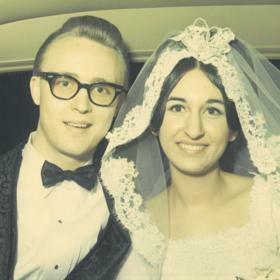 After a five year courtship and both of them deeply in love, Steve and Linda were happily married on February 2, 1968, at St. Joseph Catholic Church in Dearborn. For their honeymoon, the newlyweds enjoyed a memorable trip to Nassau in the Bahamas. As the U.S. entered the Vietnam War, Steve was drafted to serve in the U.S. Army in May of 1968. As part of the U.S. Army Special Forces - Green Berets he was based out of Fort Bragg in North Carolina. Steve’s primary job in the military was quite dangerous as he was strapped to the back of a Huey helicopter taking photographs due to his knowledge and talent in photography. Proceeding his honorable discharge from the Army, he and Linda were eager to return home to Michigan.  Steve and Linda made their home back in Dearborn and before long welcomed the birth of their first son, Rich, in 1970. His son, Mike was born in 1978 and the blessing of their daughter, Laura completed their family in 1988. Steve worked as a lithographer at a small print shop in Dearborn before landing a job with Schober Printing Company in Detroit, where he remained for most of his career. In 1996, they moved to Kalamazoo where Steve took a sales position with Doubleday. When the company was dissolved in early 2000 he made a shift into car sales and worked for Jaguar Imports & Metro Toyota for nearly 13 years. Steve loved his job and became close with his co-workers, who supported him throughout his illness. Throughout the years Steve’s favorite place was being in the woods in northern Michigan, which he often referred to as his “happy place”. 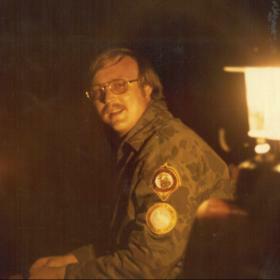 Steve always enjoyed his time while hunting, which allowed him to spend quality time with his sons, family and friends. Steve loved watching the kids in each of their activities and as a family they spent many weekends traveling back to the Detroit area to visit family. The Detroit Red Wings and Tigers were his teams, and over the years he attended many games at Joe Louis Arena and Tiger Stadium. In fact, as a young man he worked at Tiger Stadium as an usher. While living in Dearborn, Steve was instrumental in started up the first soccer program located in Dearborn Heights, where he was also a coach for many years. While living in Kalamazoo, Steve couldn’t help but become an avid WMU sports fan as well. He also enjoyed playing the occasional round of golf. Steve possessed a fun-loving nature that no one will forget. At six foot four inches tall, he was full of life and energy. He was hard to miss, especially when making goofy faces whenever someone was trying to take a nice snapshot! His uncanny sense of humor was full of “isms”, like, “I’m not ticklish, I’m Polish”, and his one-liners were always the best. When it came to music, Steve was into classic rock, Motown, jazz, and blues. A few of his favorite bands included Led Zeppelin, Styx, Journey and Jethro Tull. Steve loved good food, especially Linda’s and her delicious Italian dishes were top of his list. After a family meal, there was nothing they enjoyed more than sitting and relaxing out on the deck overlooking the back yard together where Steve would enjoy a glass of bourbon or perhaps a craft beer along with the occasional cigar. Linda came from a large Italian family and Steve connected with them right from the start, creating a close bond with the Pinto family. He enjoyed many of the Italian family traditions like making wine and homemade soppresata. He also loved having his children over with their families and good times were always had when they were together. He enjoyed making jewelry as a hobby, and he also had a woodshop where he liked to tinker around. He would build or repair furniture, create stained glass pieces, or plan his next home improvement project. A very creative and handy man, Steve was the go to person if something needed to be fixed. Steve Rozewicz may have been tall in stature, but with quiet confidence he carried himself with a demeanor all his own. Loyal to the core and honest, he was naturally motivated and very patriotic. When Steve was diagnosed with glioblastoma brain cancer, he remained at home for as long as he could until the last several months when he was cared for at Rose Arbor Hospice. Throughout his illness, family and friends rallied around Steve and his family, offering any support that could be given. Well respected for his own caring and compassionate ways, Steve considered himself blessed, having those he loved and cared about by his side. Steve will be remembered with joy and will be deeply missed by all who had the privilege to know him. 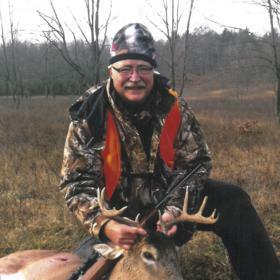 Stephen A. Rozewicz, age 70 of Mattawan, died Monday, October 8, 2018 at Rose Arbor Hospice. He was preceded in death by his father, William in 1974. Surviving is his wife of 50 years, Linda (Pinto) Rozewicz; three children: Rich (Sarah) Rozewicz, Mike (Deb) Rozewicz and Laura (Bill) Moeslein; six grandchildren: Henry, Louise, Melina, Dominic, Rozlynn, and William who will be born in February; his mother, Christine Dukes. Visit with family and friends while sharing food and drinks on Friday from 5-8 pm at the Betzler Life Story Funeral Home, 6080 Stadium Dr. Kalamazoo (269) 375-2900. The Mass of Christian Burial will be celebrated Saturday, 10:30 am at St. Catherine of Siena Church with visitation beginning at 9:30 am. Cremation will follow. Private burial will take place at Ft. Custer National Cemetery. 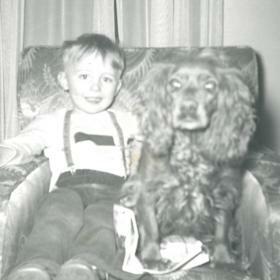 Please visit Steve’s personal web page at www.betzlerfuneralhome.com where you can archive a favorite memory or photo and sign his online guestbook before coming to the funeral home. Memorial contributions may be made to Rose Arbor Hospice.